"National Guards, like other law enforcement agencies, will always be out of politics." Interior Minister Arsen Avakov says that the National Guard should be ready to take control of the situation in the currently occupied Ukrainian territories withing the peace de-occupation plan. "The National Guard, like any other law enforcement agencies, will always be out of politics. Its task is to protect the rights and freedoms of citizens, ensure public order and suppress illegal activities. 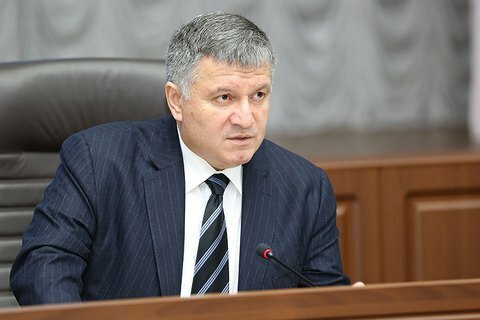 They must also be ready to take control of the situation in the temporarily occupied territories as part of the peaceful de-occupation plan," Avakov said during the NG council meeting on December 14. "Our priority is the development of the National Guard – material, technical, professional, A bulk part of our projects are aimed at this," he said. The mister said that a Ukrainian delegation recently met with representatives of the National Guard of the State of California. Avakov reminded that the 2018 national budget envisages funds for the remuneration and social support, including housing, for Ukrainian guardsmen. "Next year will provide housing to a thousand of guardsmen and hope to complete the housing waiting in four years," the minister said.